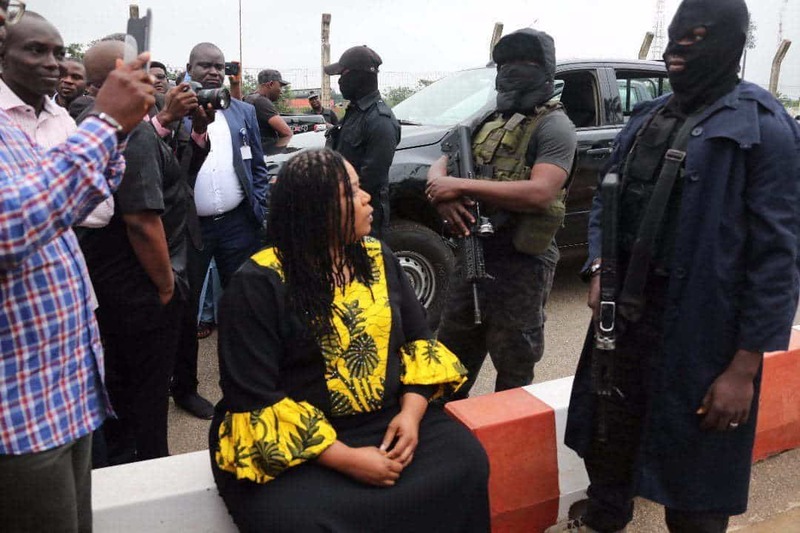 The Federal Government and its security agencies have been urged to act fast to investigate Tuesday’s blockade of the National Assembly Complex by masked operatives of the Department of State Services (DSS) and expose those behind it. The plea was made by Chief Eze Chukwuemeka Eze, a chieftain of the All Progressives Congress (APC) in Rivers State. Eze, in a statement issued on Thursday in the state capital, Port Harcourt, described the incident as a national shame and embarrassment. Eze reasoned that if what happened at the National Assembly on 7th August was a plot to cause the international community to feel that President Muhammadu Buhari is a dictator, then those behind it should be fished out and punished accordingly. “Those in Government should do everything possible to safeguard the good image of President Buhari and prevent some desperate politicians from ruining all that this administration has achieved these past three years,” he advised. Eze condemned the unpatriotic letter to the Government of United Kingdom by PDP National Chairman, Prince Uche Secondus, aimed to paint President Buhari in bad light and cast aspersions on the image of Nigeria as a whole. “This is very unfortunate and unbecoming of a leader of Secondus’ stature,” he stated. Eze pleaded with the Senate President, Dr. Bukola Saraki, to save the country from further acts that would overheat the polity and sabotage the country’s nascent democracy. He lamented that Saraki’s presidency of the Senate has done more harm than good to the present administration and advised him to turn a new leaf. Imagine.. I believe that all this attitude is just to put confusion in the state and among the masses..